They are not homeless , rather they are trying to get the desirable item for their homes. YES THIS IS THANKS GIVING BLACK FRIDAY OVERNIGHT queue. 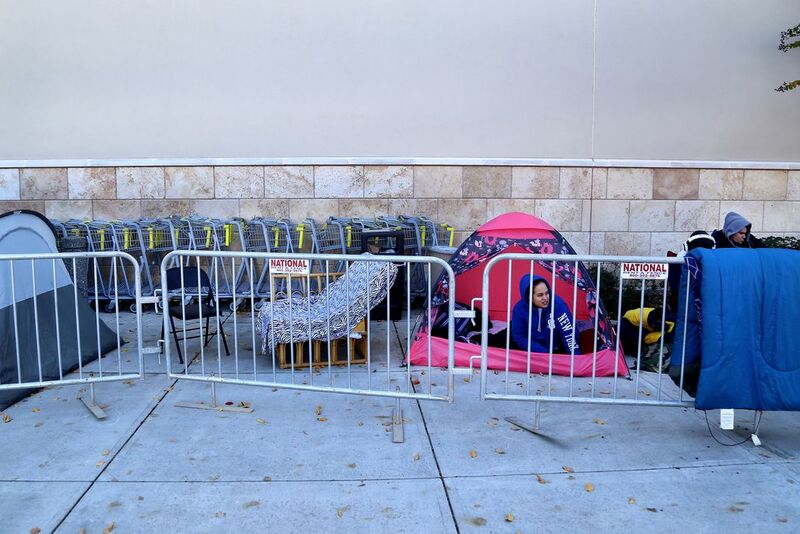 where people are in the queue with tent , chair & sleeping bags & waiting for to open the shopping center.